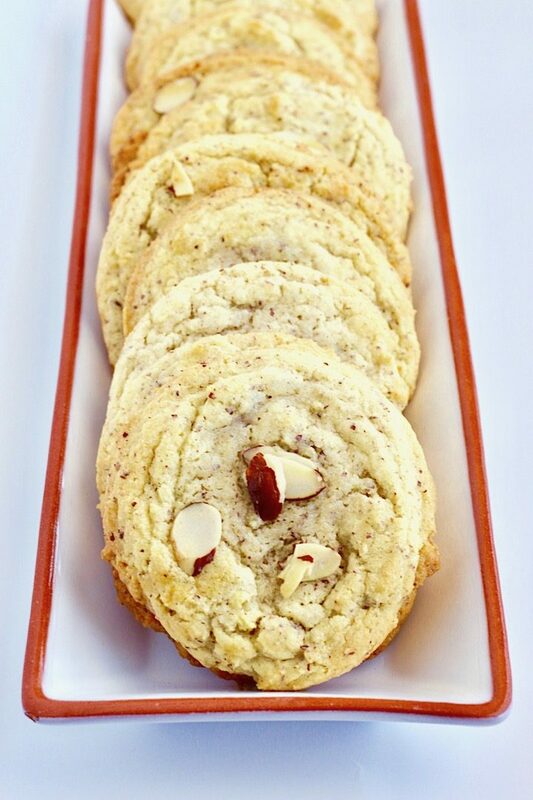 Almond Cookies are the perfect sweet way to celebrate the Chinese New Year at the end of January. I love cookies with a soft center and slightly crispy edges. 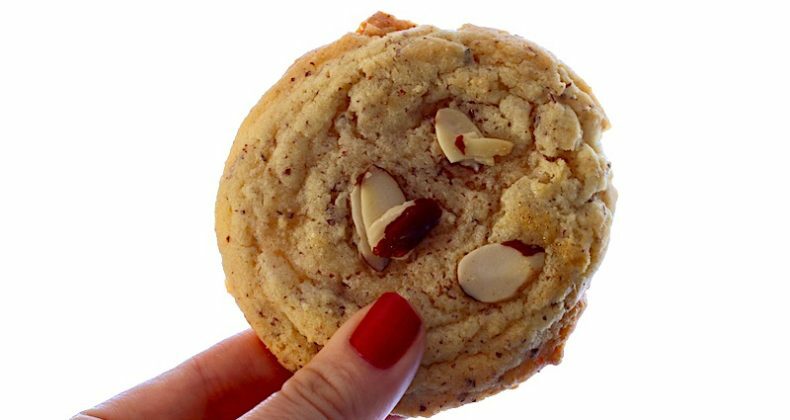 Almonds are featured three different ways in these cookies by using almond extract, almond flour, and sliced almonds on top. The Chinese New Year is a several day long festivity so lucky for you-you will have plenty of time to make and enjoy some Almond Cookies. On January 28 celebrations will begin around the globe and will last until February 2. Their New Year is based on the lunar calendar so that actual date switches year to year as does the animal associated with the year. 2017 is the year of the fire rooster! Almond Cookies are a far better dessert alternative to the plain old fortune cookie. They taste so much better too! Ingredients for the cookies can be found at your local Baker’s or Kroger Co. grocery store. Check out the health section for ground almond flour. I found Simple Organic ground almond flour in the health section. If your store doesn’t carry it you can always grind your own by placing almonds in a food processor and grind until they become a fine powdery flour. So fire roosters, let’s get baking! If you need some inspiration for your main course, I have a few recipes to help you out! Check them out here. What is your favorite Chinese (American Chinese) dish? Yum! These sound so good! I love almond cookies, they remind me of my mom and a place we used to go when I was a kid. They served tea and almond cookies. I love Chinese New Year! It’s always amazing over here in London. I’ll be sure to try out this recipe to mark the occasion! These sound delicious, not too sweet! My kids had their first fortune cookie last week and they were super excited 🙂 I am sure they would love these almond cookies as well! These cookies look delicious! I haven’t used almond flour yet but have wanted to try it. I definitely agree that this cookie is a heck of a better option than a fortune cookie! These look great! Definitely way better than a fortune cookie!